The British military is to form a new specialist force in “non-lethal” forms of psychological warfare using social media such as Twitter and Facebook to tackle the “asymmetric battlefields” of the 21st century. 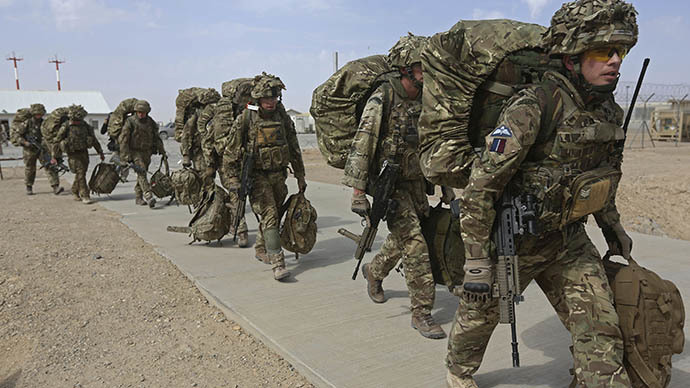 The brigade will number 2,000 and will be made up of regular troops from all three services, as well as reservists and civilians, British media report. It will attempt to draw the best talent from the regulars and reserves and will also allow civilians with specialist skills to operate alongside their military counterparts. Senior officers have said that the army has to adapt to the changing nature of warfare, as conflicts from Iraq to Ukraine have demonstrated, and that the information war is as important as tanks and artillery. As well as be able to shape “behavior through the use of dynamic narratives” the brigade will also specialize in reconstruction and development and humanitarian assistance in the battle to win hearts and minds. “The brigade has been formed to respond to the ever changing character of modern conflict and to be able to compete with agile and complex adversaries,” said the Ministry of Defense (MoD). The force will be formally unveiled in April and will be based at Hermitage near Newbury in Berkshire. It will have the same number, 77, as the legendary Chindits, the commandos who became famous for their missions behind enemy lines in Burma during the Second World War. The 77th brigade of the Indian army, or the Chindits, was set up 1942 from British, Indian and Burmese troops to take the fight to the seemingly invincible Japanese in the darkest days of the war. They took their name from the mythical Burmese half-lion, half eagle beast that guarded Buddhist temples. The Chindits used unconventional warfare and long range penetration units to sabotage Japanese supply and communication lines. By taking their lead from the Chindits, the new Brigade 77 will aim to be a "smart" brigade. [The Chindits] “fought in such difficult conditions adopting a new type of psychological warfare, using a mixture of original creative thinkers who integrated with local indigenous forces to multiply effects, the exact requirement of the modern age,” said the MoD. The Israel Defense Force has pioneered the use of social media. In last year’s Operation Cast Lead in Gaza the IDF was active on 30 platforms including Twitter, Facebook, YouTube and Instagram.